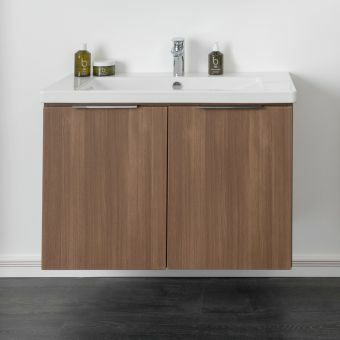 VitrA Frame 1 Drawer 100cm Vanity with BasinFrom £1393.61 inc.VATRRP: £1742.00 (Save 20%)Simply stunning range of designer furniture, cutting edge contemporary design with LED lighting inside & out. VitrA Nest 60cm 2 Door VanityFrom £600.00 inc.VATRRP: £750.00 (Save 20%)2 soft opening doors, 60cm wide 45cm deep. 4 fantastic colours, Gloss white, Anthracite, Natural or Grey wood. 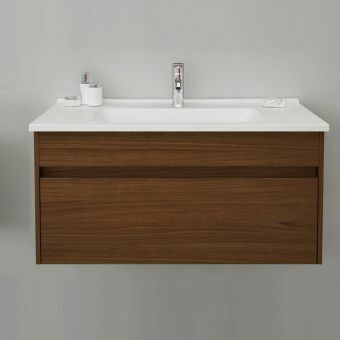 VitrA Nest Trendy 80cm 1 Drawer VanityFrom £688.80 inc.VATRRP: £861.00 (Save 20%)80cm wide, single drawer with soft close rails, option for LED lighting on the basin. 1 tap hole with overflow hole. VitrA M-Line Infinit 120cm Double Drawer VanityFrom £1623.19 inc.VATRRP: £2029.00 (Save 20%)There is uber storage in this extra large 1200mm wide, double drawer vanity unit! Glass fronted, premium quality. 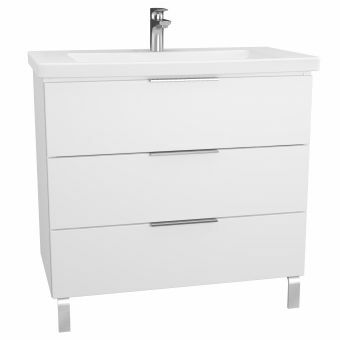 VitrA Ecora 2 Drawer Vanity UnitFrom £414.70 inc.VATRRP: £638.00 (Save 35%)Double drawer vanity unit and basin set in 2 stylish colours, classic white or oak. A choice of energy saving LED. 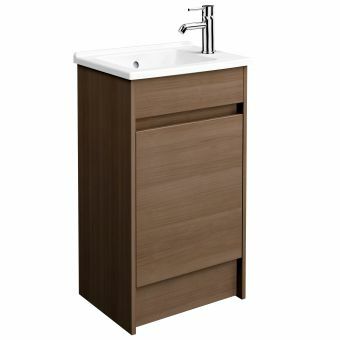 VitrA S50 80cm 1 Drawer VanityFrom £367.90 inc.VATRRP: £566.00 (Save 35%)1 drawer vanity unit with soft close action, 2 colours to choose from Oak or White, includes basin. 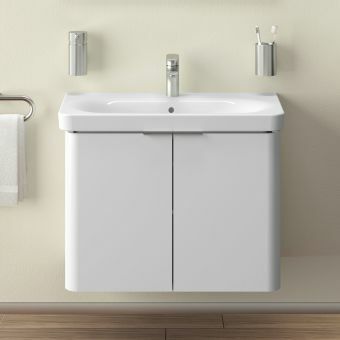 VitrA S50 50cm Floorstanding 1 Door VanityFrom £220.35 inc.VATRRP: £339.00 (Save 35%)Floor standing vanity unit and basin set with 1 tap hole, 50cm in width in 2 colours: White or Oak finish. 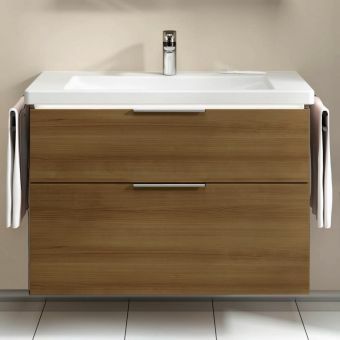 VitrA S50 100cm 1 Drawer VanityFrom £441.35 inc.VATRRP: £679.00 (Save 35%)Large 100cm vanity unit & basin package with one soft closing drawer, choose from 2 colours Oak or White. 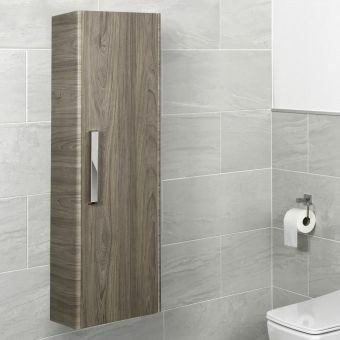 VitrA D Light Side UnitFrom £209.30 inc.VATRRP: £322.00 (Save 35%)Wall mounted side unit with soft closing hinges in 4 stylish colour options, with optional towel hook feature. 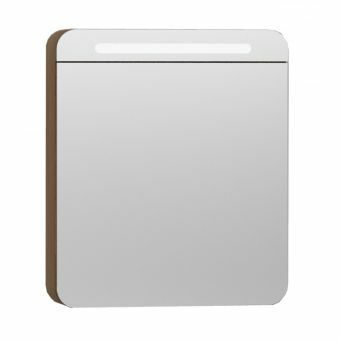 VitrA D Light 50cm LED Illuminated VanityFrom £328.25 inc.VATRRP: £505.00 (Save 35%)50cm wide, offset ideal for cloakrooms & small bathrooms in 4 modern colours. 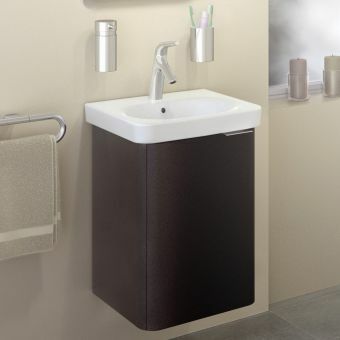 Includes basin and LED unit. 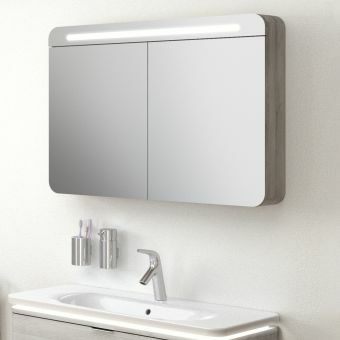 VitrA D Light 70cm LED Illuminated VanityFrom £412.75 inc.VATRRP: £635.00 (Save 35%)LED illuminated basin and unit pack available in 4 fantastic colours: Matt white alone or with mink, purple or oak. VitrA D Light 90cm LED Illuminated VanityFrom £455.00 inc.VATRRP: £700.00 (Save 35%)Illuminated bathroom vanity unit with basin in 4 stunning modern colours for a light bright new bathroom! 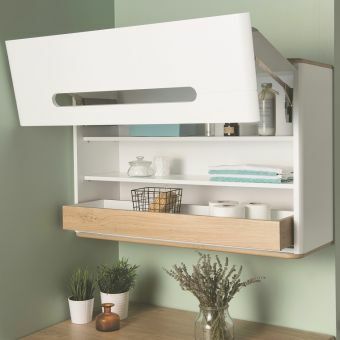 VitrA Sento Wall CabinetFrom £700.80 inc.VATRRP: £876.00 (Save 20%)Wall cabinet with upward folding door, in 3 colour options. 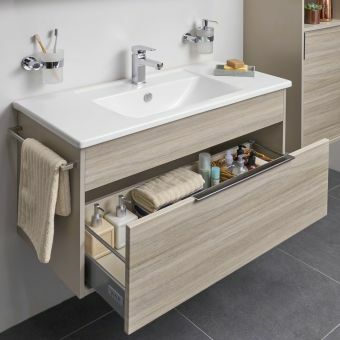 Ideal storage for a bathroom or utility room. VitrA Ecora 2 Door Vanity UnitFrom £310.70 inc.VATRRP: £478.00 (Save 35%)Choose from 60cm or 90cm width and colour options White or Oak. 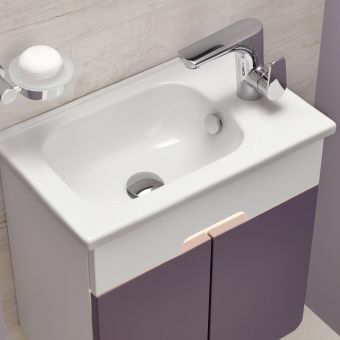 2 soft closing doors, the basin is included. VitrA Nest 1 Door 60cm Mirror cabinetFrom £515.20 inc.VATRRP: £644.00 (Save 20%)Features LED lighting with left or right hand door hinge. 60 x 70h x 15cm with 1 door. 4 colour options! Vitra M-Line 60cm Double Door Floorstanding VanityFrom £339.19 inc.VATRRP: £424.00 (Save 20%)Floorstanding vanity unit in 3 colour options with 2 soft closing doors and a robust thermoform coated carcass. 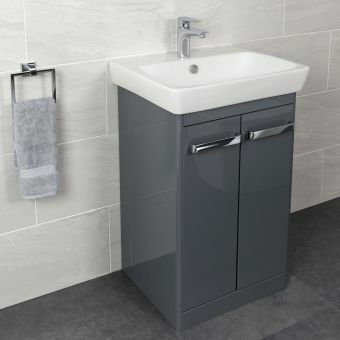 VitrA Nest 80cm 2 Door VanityFrom £683.99 inc.VATRRP: £855.00 (Save 20%)80cm wide unit & basin ideal for a family bathroom 4 colours to choose, soft closing doors & safe round corners. VitrA Nest Child Step and Storage BoxFrom £131.21 inc.VATRRP: £164.00 (Save 20%)A child step for the award winning, family friendly Nordic designed range Nest and Nest Trendy - 4 colours! 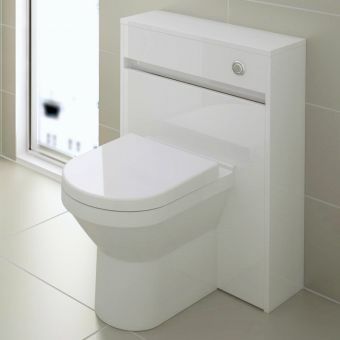 VitrA Shift Small 50cm Unit with Basin From £360.00 inc.VATRRP: £450.00 (Save 20%)Petite 50cm unit and basin package with double doors. 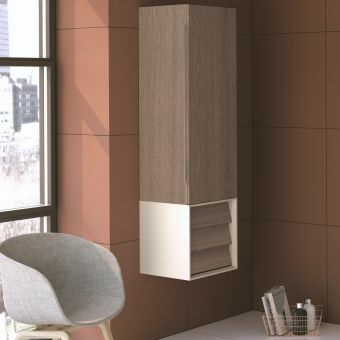 2 lovely colours: stylish Mocha or classic White, with basin! VitrA Frame Tall Unit with Bottom DrawerFrom £1251.19 inc.VATRRP: £1564.00 (Save 20%)Front drawer on the bottom of unit, with 3 stunning colour combination options and left or right hinge door. VitrA Sento Cloakroom Vanity UnitFrom £371.20 inc.VATRRP: £464.00 (Save 20%)Illuminated with LED lighting, optional wooden legs or install as wall mounted without the legs, 3 colours! VitrA Nest Cloakroom 1 Door VanityFrom £512.79 inc.VATRRP: £641.00 (Save 20%)Cloakroom sized unit with basin, 45 x 38cm. 1 door unit with soft close hinges, left or right hand, 4 colours! 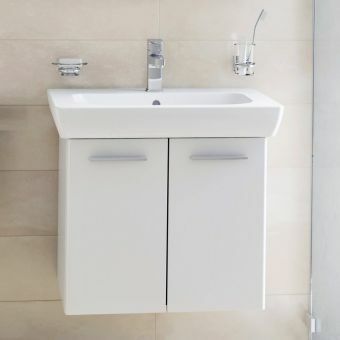 VitrA Nest 100cm 2 Door VanityFrom £753.59 inc.VATRRP: £942.00 (Save 20%)Extra large 100cm wide vanity unit & basin ideal for young families with softly rounded corners & soft closing. 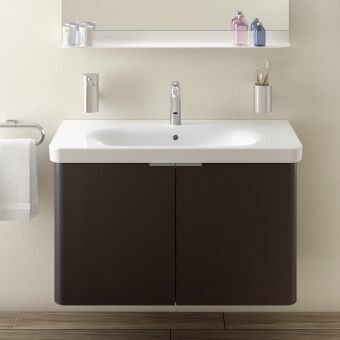 VitrA Integra Medium 80cm Vanity Unit with BasinFrom £469.60 inc.VATRRP: £587.00 (Save 20%)Medium sized 80cm wide vanity unit and basin package in 3 beautiful colourways, Grey Elm, Bamboo or Walnut. 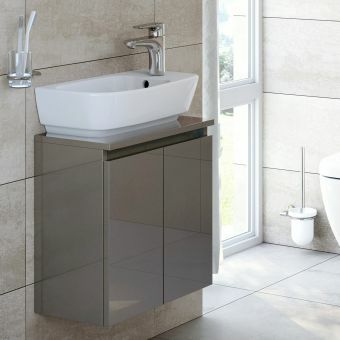 VitrA S20 2 Door 65cm Vanity with BasinFrom £220.35 inc.VATRRP: £339.00 (Save 35%)Basin and unit package in Gloss white or Golden cherry, amazing value for money for those on a budget! VitrA Nest Trendy 60cm 2 Drawer VanityFrom £796.01 inc.VATRRP: £995.00 (Save 20%)Sensor activated LED lighting option! 2 drawers for maximum storage, 4 fantastic colour options to choose from. 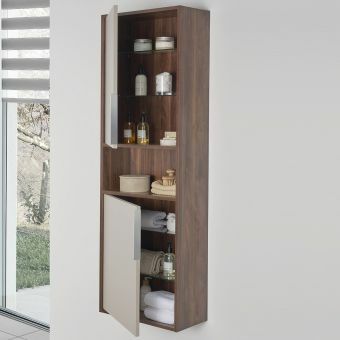 VitrA Bathroom Furniture is superbly well made and covers a broad range of modern bathroom requirements – meaning there is something for every budget every taste and every bathroom in their collection! 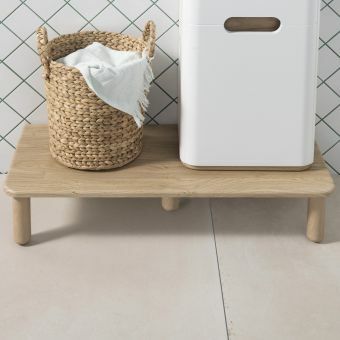 VitrA’s design philosophy is to make the bathroom part of the home, an exciting and engaging space rather than simply a place to wash, this is achieved wonderfully in each of their design lines, with great attention to detail and lasting quality. The video above showcases the latest collaboration between esteemed designer Terri Peccora who created the VitrA Plural range of product with a minimal but warm and welcoming aesthetic. 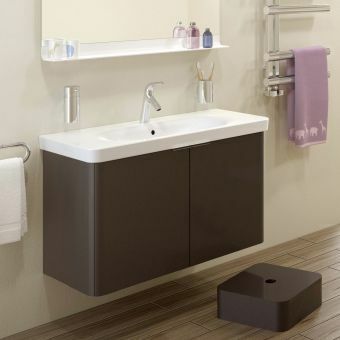 VitrA’s bathroom furniture is structured into collections of ranges forming a good better best arrangement. 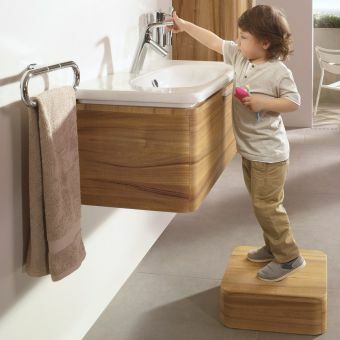 These collections are: VitrA Bathroom Collection, VitrA Signature Collection and the VitrA Designer Collection. 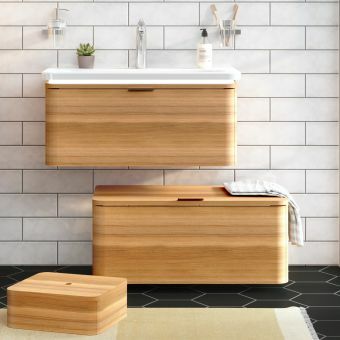 You can’t go wrong with VitrA bathroom furniture, for example the entry level ranges start at a fantastic price point and wonderfully sturdy build-quality and have features that inferior products don’t, we will run you through the attributes of each below! 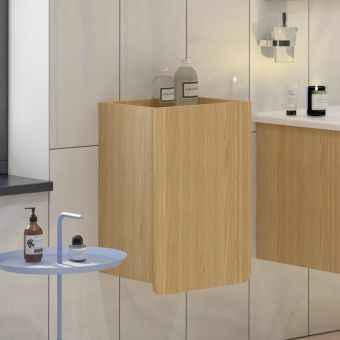 The bathroom collection of furniture consists of design lines: VitrA Zentrum, S20 and S50, VitrA Ecora, D-Light, VitrA Serenada, VitrA Milton and Layton. 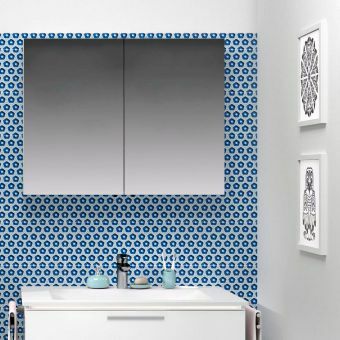 The VitrA bathroom collection also consists of a collection of mirrors and mirror cabinets to match the furniture pieces perfectly, theses can also be found on our website. The VitrA bathroom collection is their entry-level group of products in the good better best structure, these pieces of furniture are some of the most popular and best-selling units and offer lovely well-built high quality with features such as soft closing hinges and doors, a good choice of finish and colour options and special coatings such as lacquers to protect your new VitrA unit and keep it looking good for years to come. 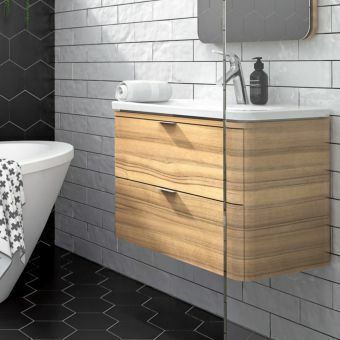 Affordable and well designed, these pieces are the perfect choice for those on a budget, such as a first time buyers or modest bathroom renovation works. 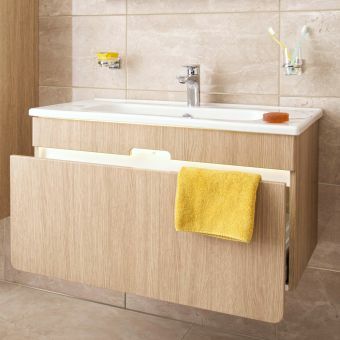 The bathroom collection offers superb design and quality at accessible price points! 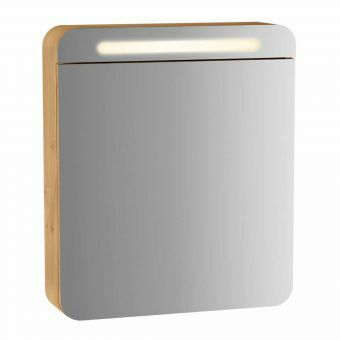 The image above illustrates the charismatic D-Light range which features LED lighting and soft close doors and drawers which is available in 4 colours! 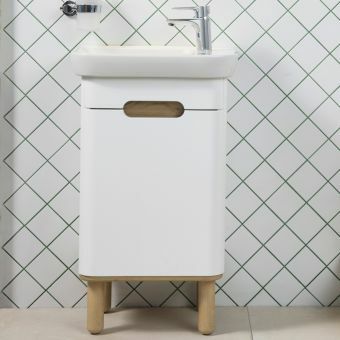 The Signature Collection by VitrA is an exclusive group of products available only to a handful of brand approved retailers such as UK Bathrooms. As we work closely with VitrA we ensure their high standards are maintained, from our well maintained and up to date displays in our North Yorkshire showroom through to staff training and product knowledge. 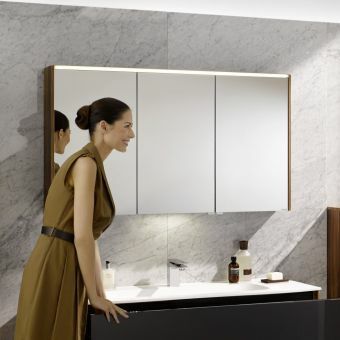 As such we are able to bring you the VitrA Signature Collection which consists of the following lines: V Care intelligent WC, Ecora Infinit Furniture, VitrA Integra Furniture, and VitrA Shift. 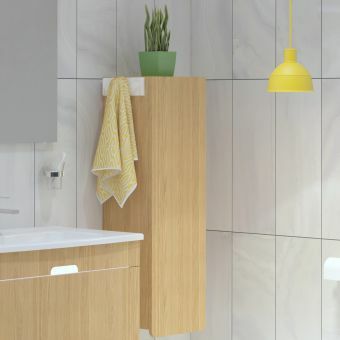 The Signature group of products feature elements such as the latest bathroom technology in the V Care WC, soft close hinges, lovely wood grains and easy clean ceramics. VitrA’s Designer Collection is a collection of design lines that form the jewel in VitrA’s crown. 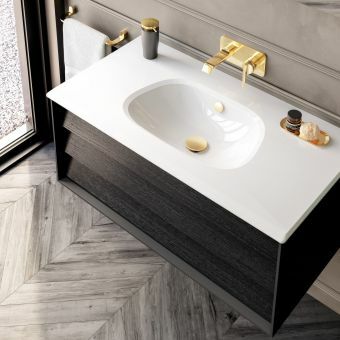 These stunning design lines were created in collaboration with internationally esteemed designers and design house to create cutting edge, market leading bathroom products which are only available to a select group of exclusive retailers such as UK Bathrooms. With the latest technology and the very highest quality features, the ranges that form the Designer Collection are premium grade, luxurious and highly desirable. 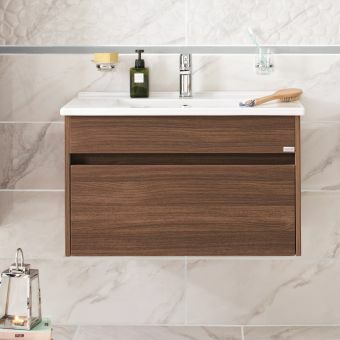 They are truly stunning pieces that can be used to create the designer bathroom of your dreams! 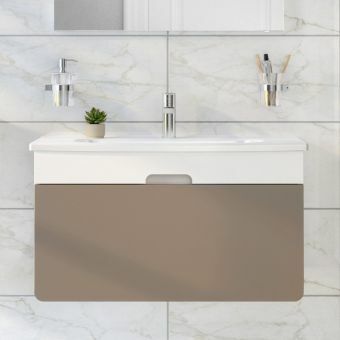 Lines within the designer collection are availed in a wide range of colour options and feature premium upgrades such as VitrA easy clean and added hygiene elements, its these sort of details that set a truly high quality bathroom apart from the rest and make it your own.